A safe bet for your holiday! 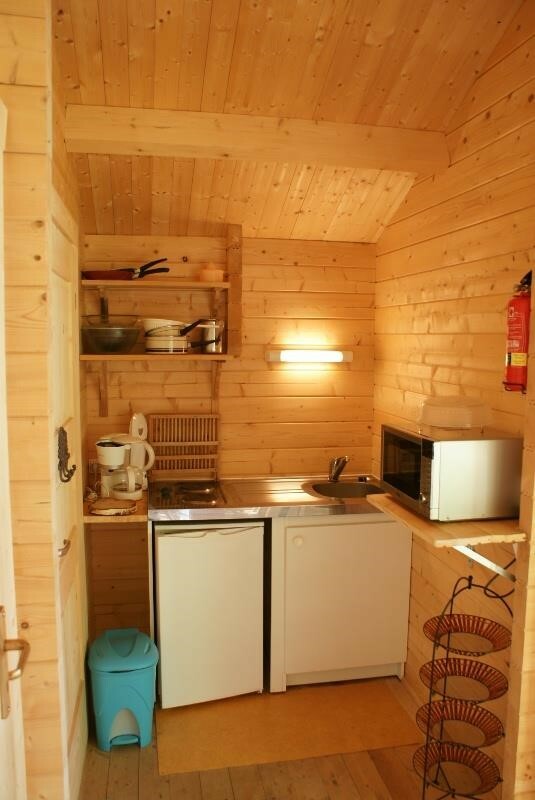 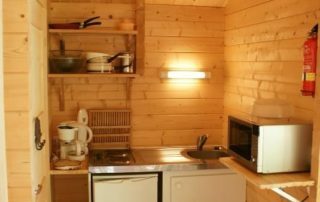 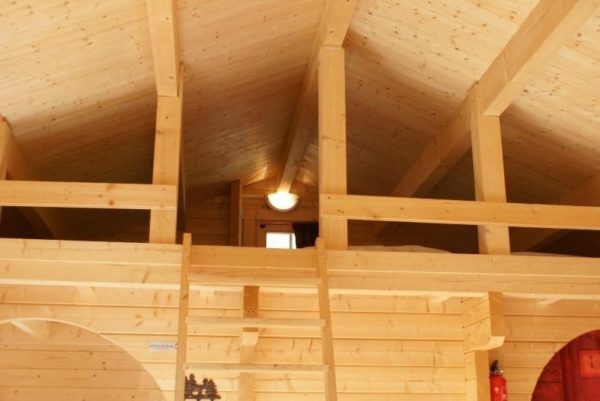 Wooden chalets with surface areas of 35 – 40 m2, including some with mezzanines as well. 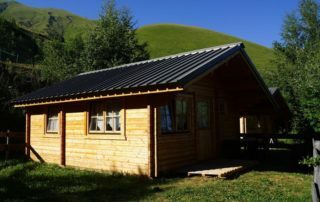 Fully equipped kitchens, toilets and facilities such as a television, a heater if necessary and garden furniture, with possibility of a barbecue. 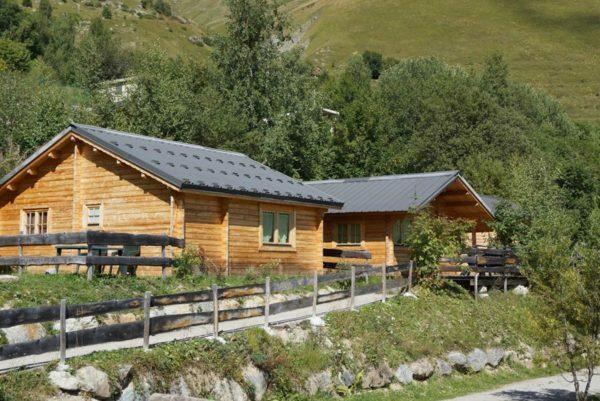 The chalets sleep 2 to 7 for a carefree but independent holiday! 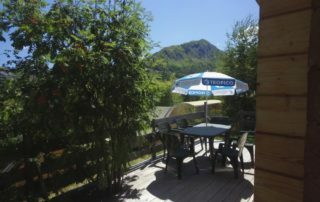 An unobstructed view, of course, with south facing exposure, in natural surroundings where you will feel quite at home! 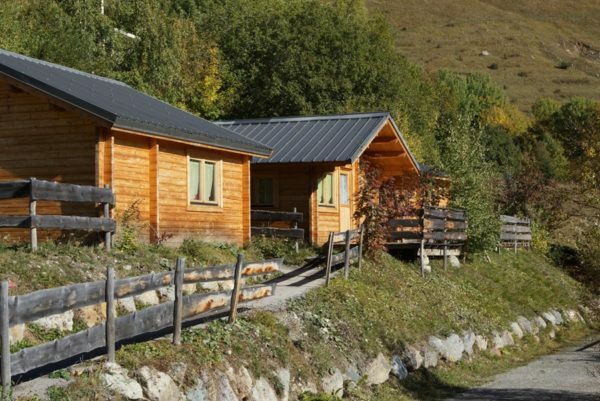 Our “Myrtille” chalets are independent chalets made of wood with private terraces and an unobstructed view facing south and overlooking the valley and mountains! 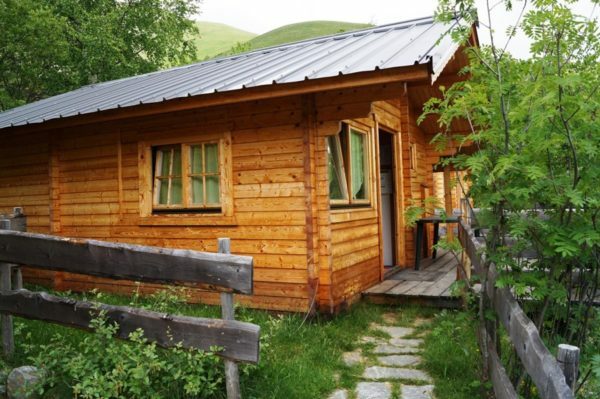 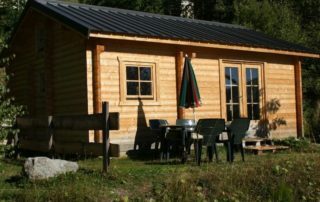 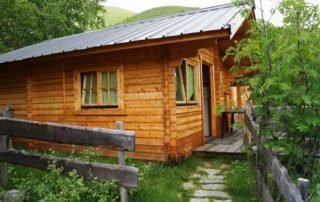 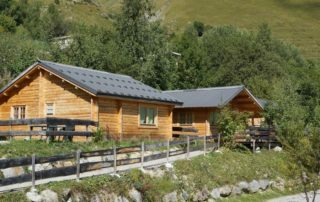 The single-level chalet has a highly functional design, offering all the facilities you need for daily life and an outside terrace with garden furniture. 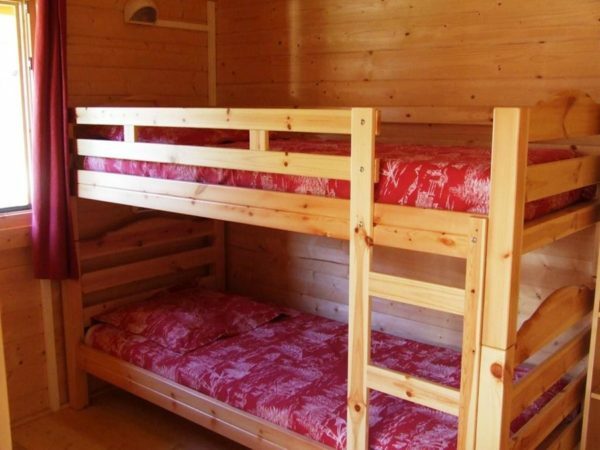 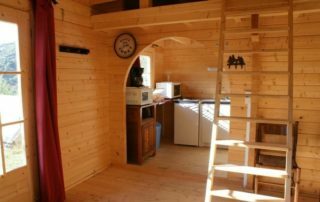 It has 2 bedrooms, one with a double bed and the other with bunkbeds, a living/kitchen area and a washroom and toilet. 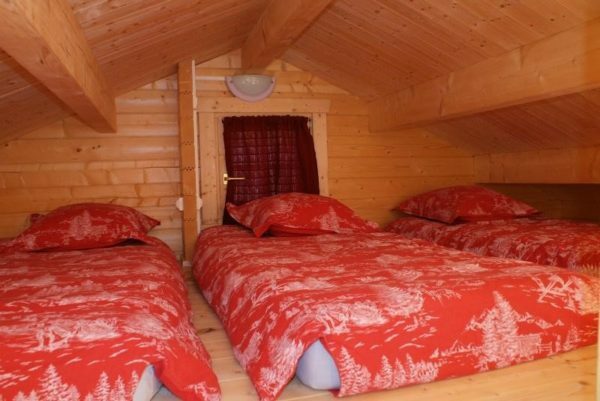 It is ideal for 4 people but can sleep up to 5. 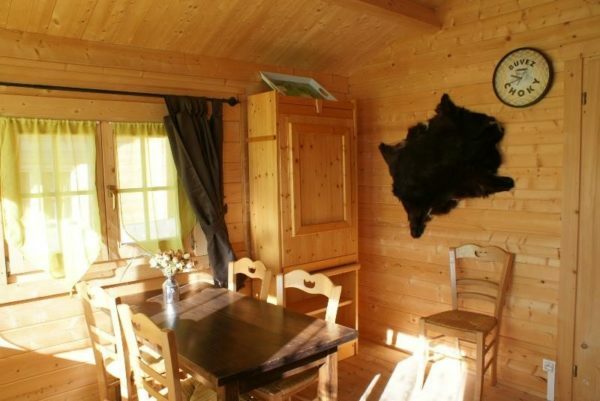 The living area of the chalets is 35 m2 minimum. 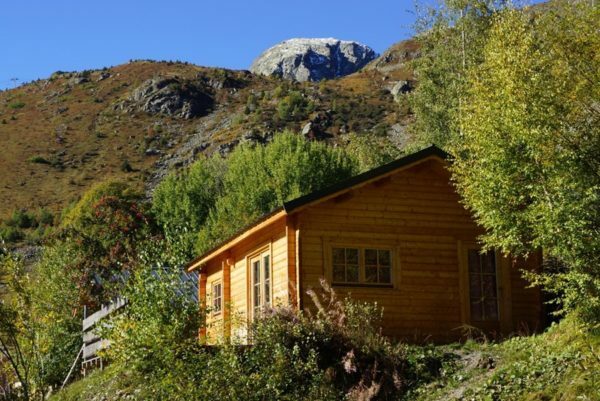 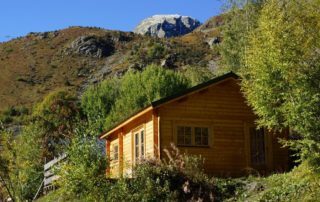 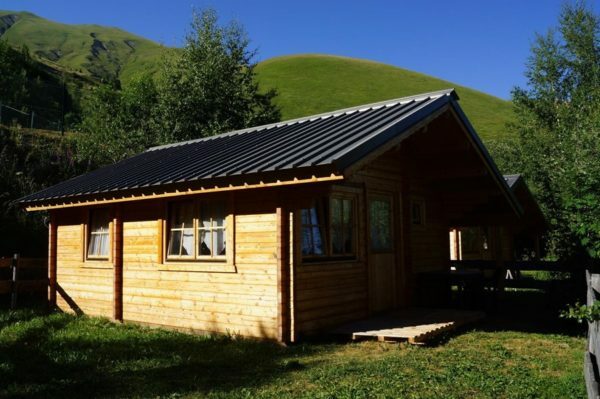 Our Myrtille chalets are independent chalets made of wood with private terraces and an unobstructed view facing south and overlooking the valley and mountains! 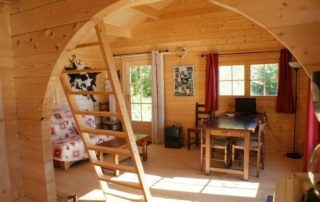 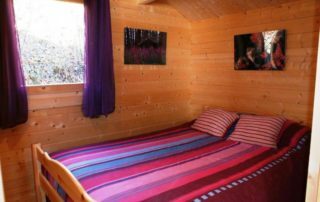 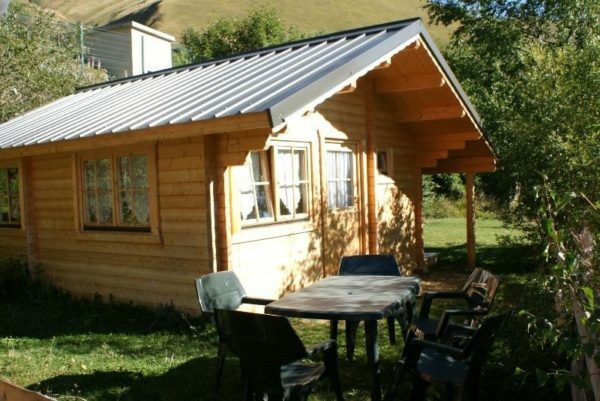 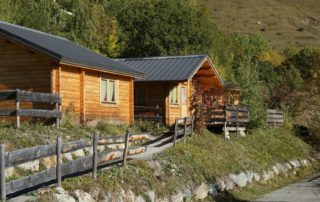 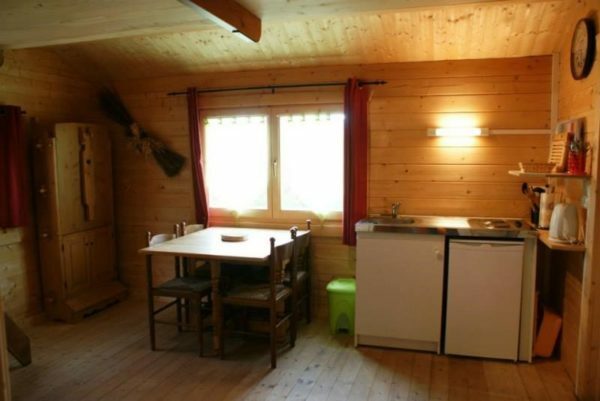 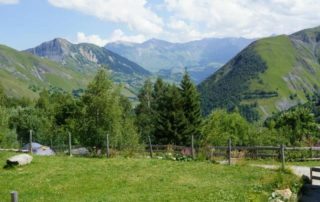 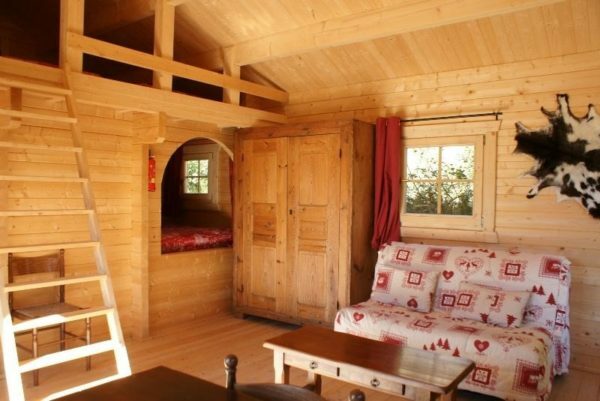 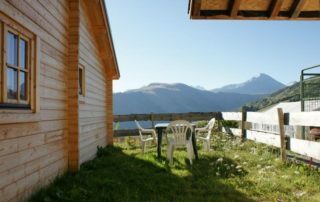 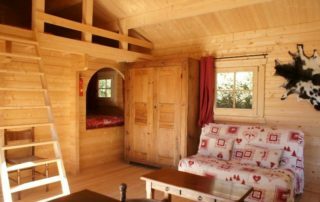 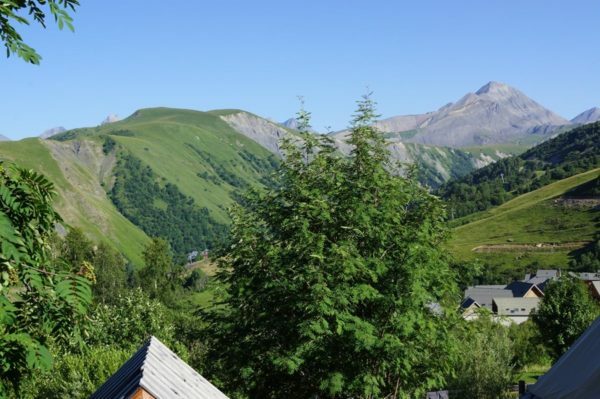 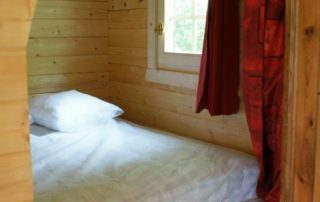 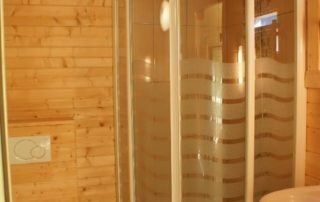 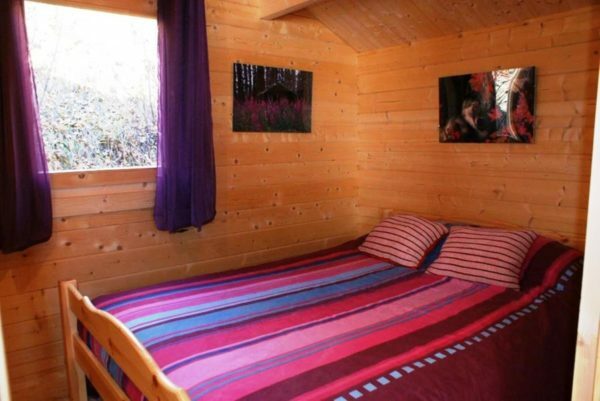 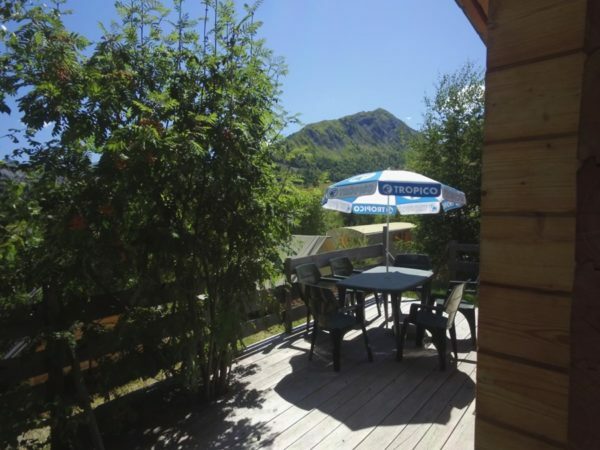 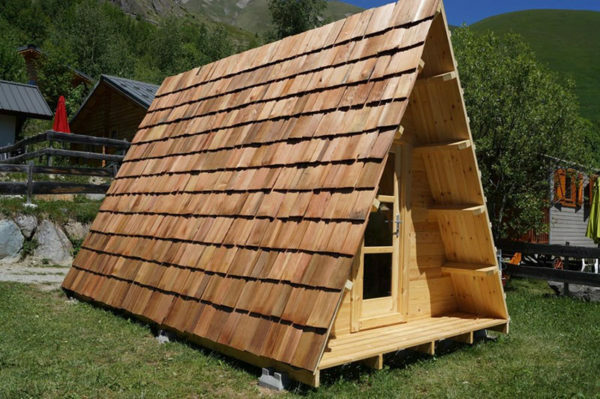 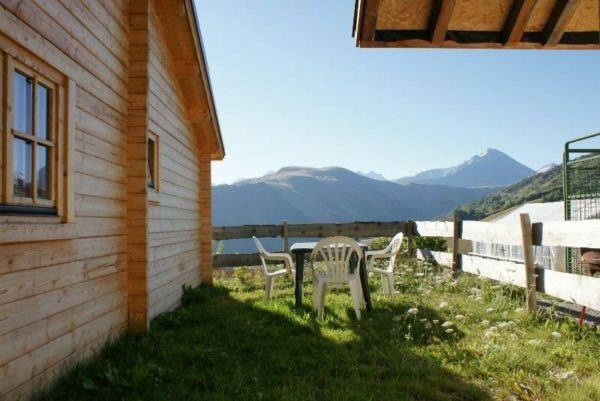 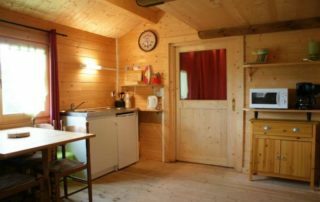 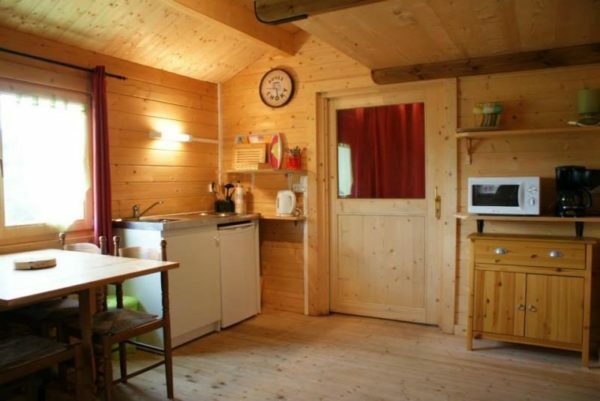 This chalet is also accessible for wheelchair users: considering the space required it only has one large closed bedroom but there are 2 mezzanines so it can sleep the same number of people as the other MYRTILLE chalets, or even more for groups. 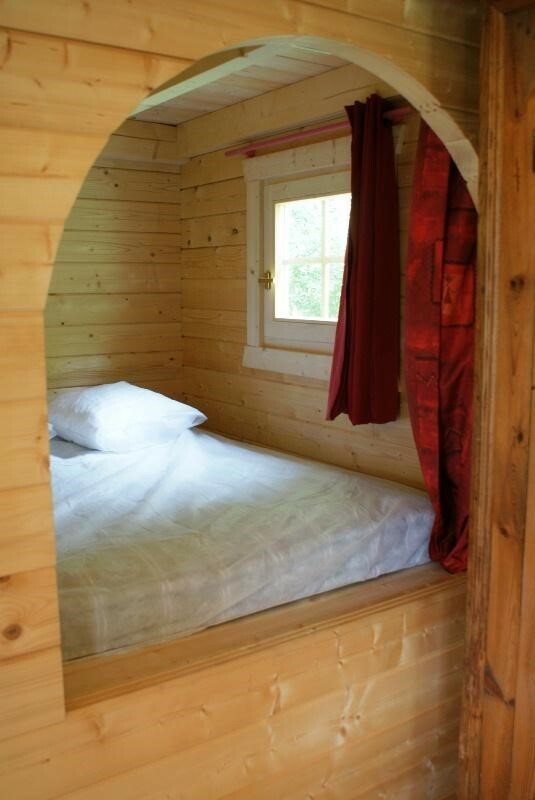 For 2 people, it is the most comfortable accommodation we offer, with full outdoor equipment. 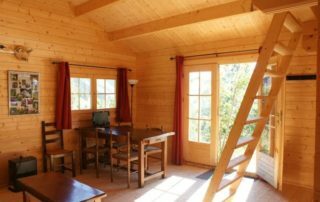 Made entirely of wood with a private terrace and an unobstructed view facing south and overlooking the valley and mountains! 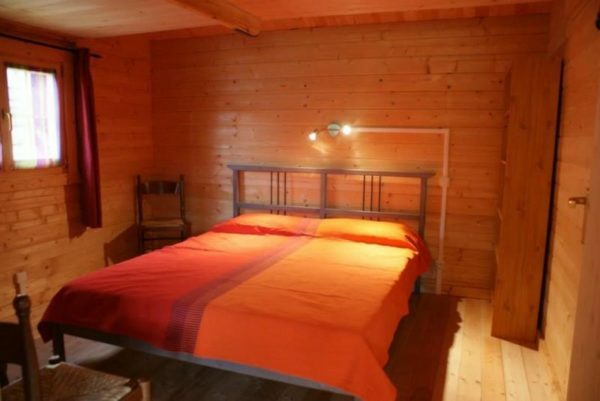 The Ranch chalet is particularly charming with its “refuge” style: its main bedroom with a double bed is in an alcove, the mezzanine can sleep 3 or 4 people and there is a large living area with a sofa for a total capacity of 7 people. You will find all the facilities you need for daily life and there is a terrace with garden furniture. 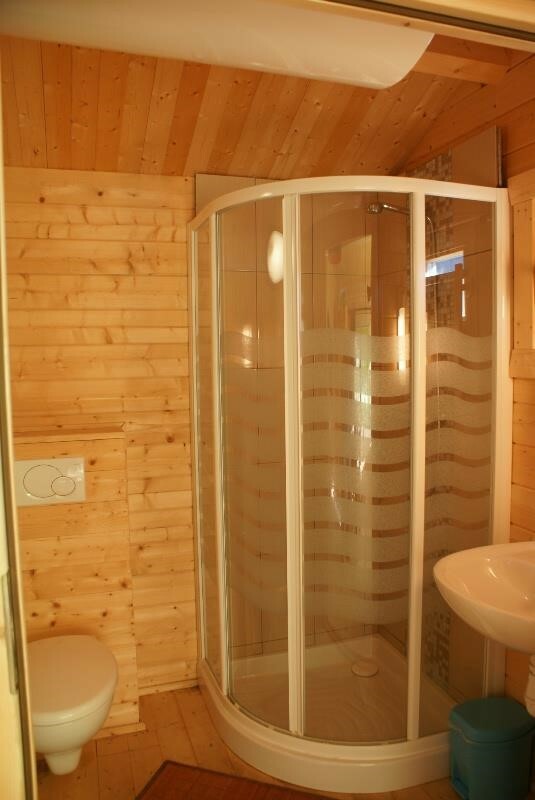 The bathroom is separate from the toilet. 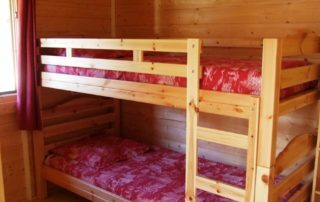 Our pitches cover at least 80 m2 and can take 1 or 2 tents according to size, with a car, caravan or camping-car. 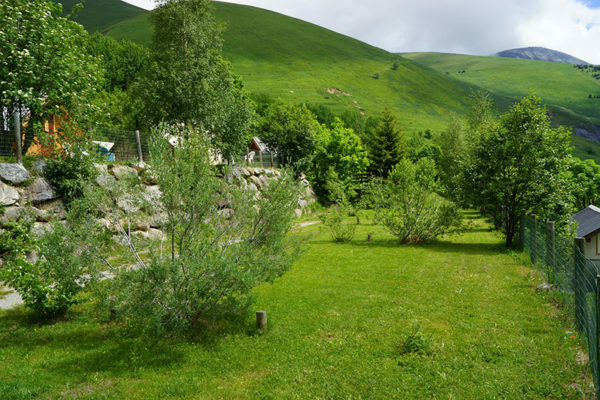 The terraced layout of the camp site means that each pitch benefits from an unobstructed view.